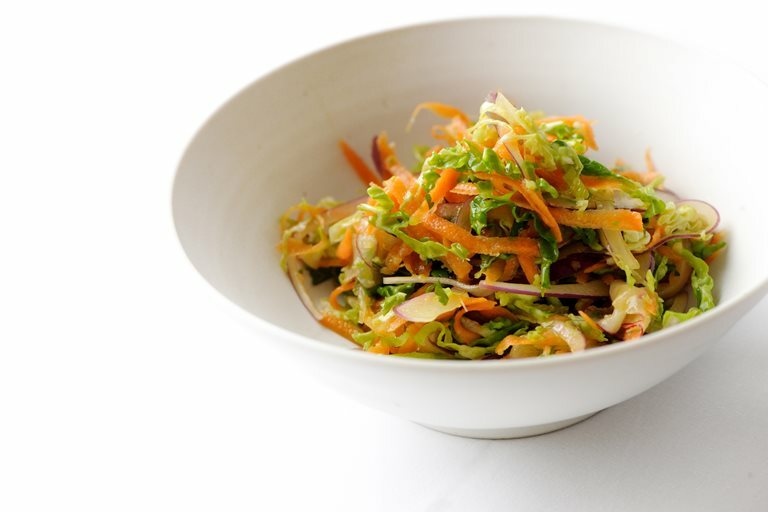 This Eastern-inspired soy coleslaw recipe from Shaun Hill includes cabbage, red onion, carrot and radishes. The inclusion of lime, soy sauce, sesame, chilli and corriander gives this dish a nice punch. It makes an inspired side dish and you can always dial up the chilli is you so desire.